There are 6 visits logged against Reginald Ernest. Have you been to see them? Click here to log a visit. 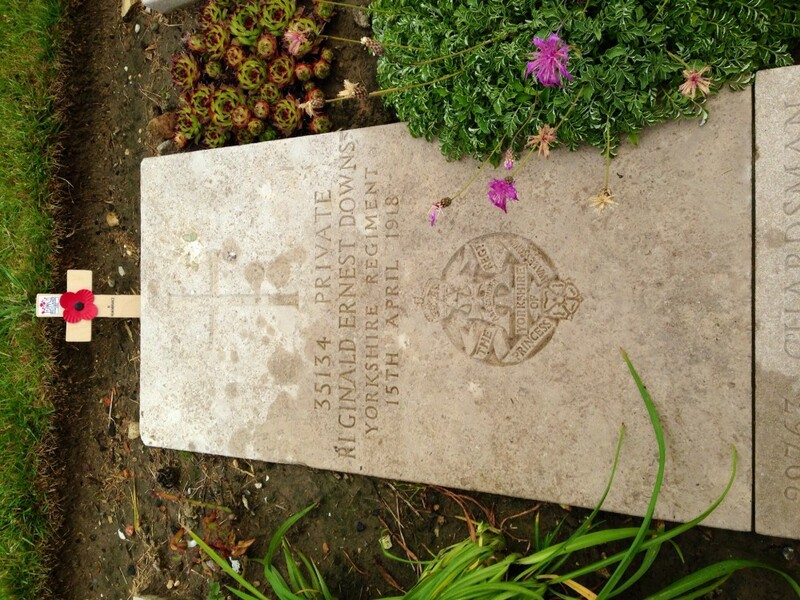 Private Reginald Ernest Downs of Ryhall and his father Ernest both served in the First World War. 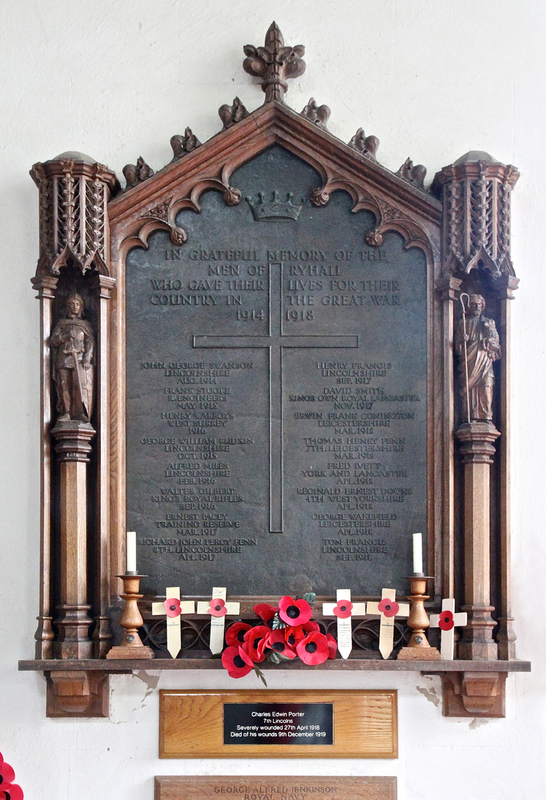 His father, a former professional soldier who had served in India and South Africa, survived, while Reg was dead just two weeks after arriving on the Western Front and a month short of his nineteenth birthday. Reg was born on 12 May 1899, and enlisted in June 1917, into the Yorkshire Regiment aged 18. 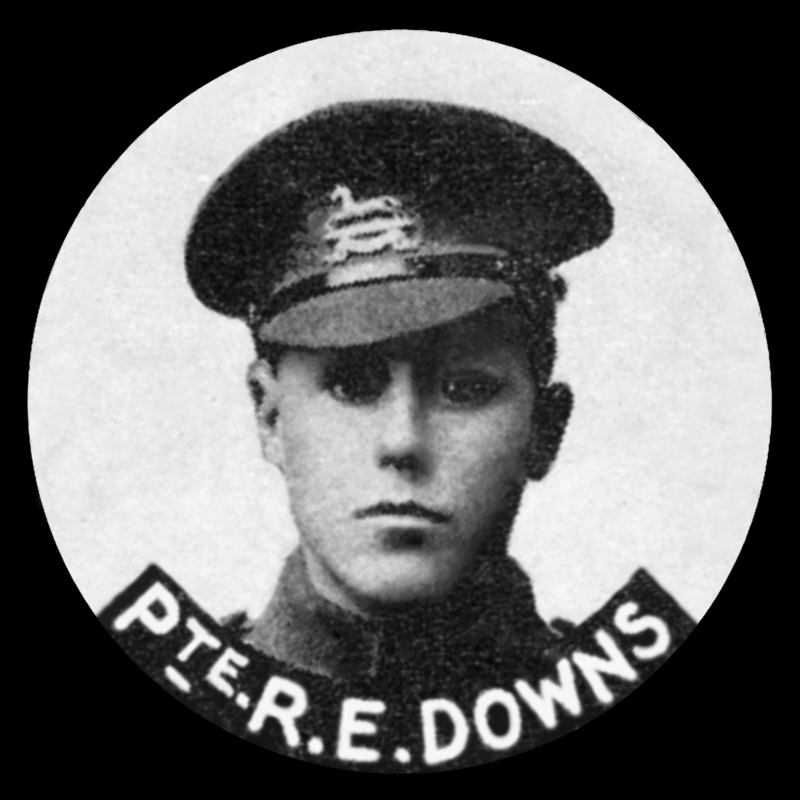 He was sent to the Western Front on 31 March 1918, and within nine days was wounded in action. 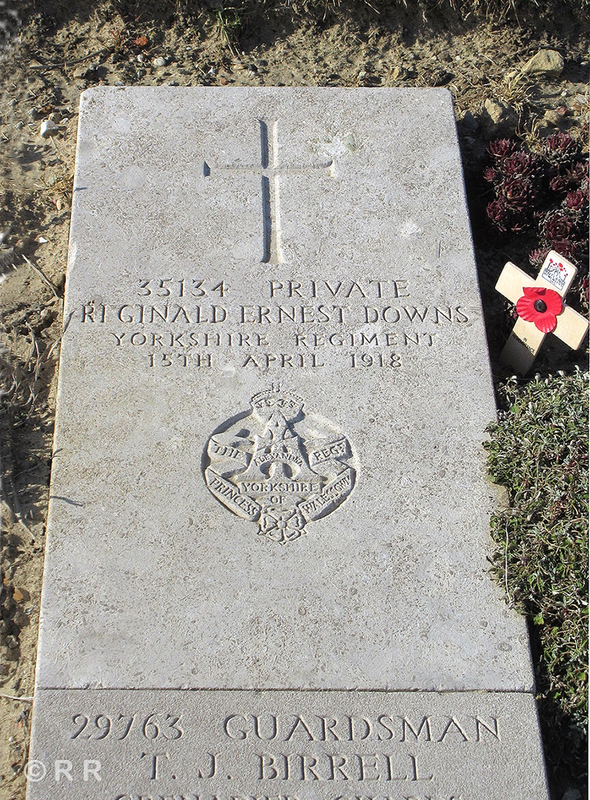 He was taken to hospital and died on 15 April 1918. 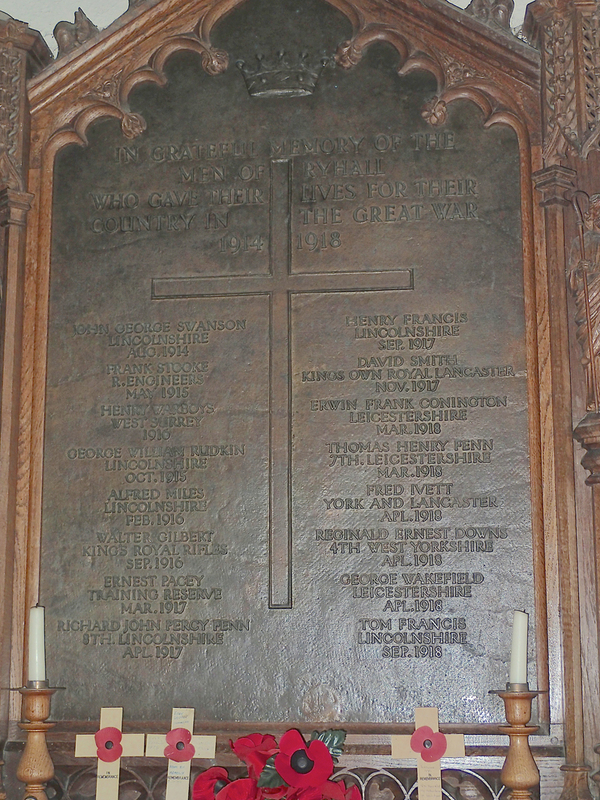 Reg is buried in Wimereux Cemetery, grave XI.A.2, and is remembered on Ryhall's war memorial. 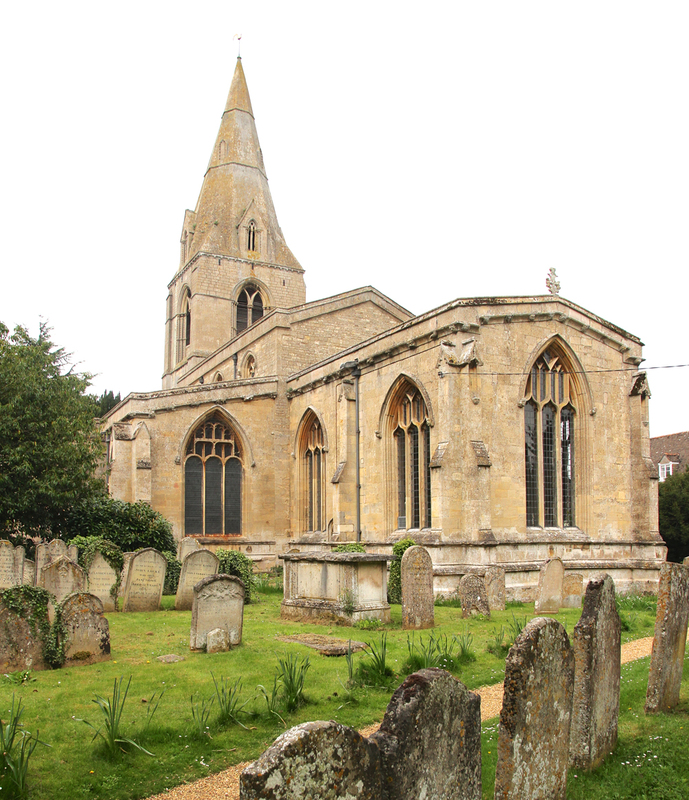 Do you know something about Reginald Ernest that hasn't been mentioned?